Robert Houle is an acclaimed Anishinaabe (Ojibwe-Saulteaux) artist and activist on behalf of First Nation peoples; this film examines his life and career as an artist, curator, educator and cultural theorist. Like many of his generation, Houle was schooled in the residential school system. As a result, he has created a body of work encapsulating his memories from childhood. His vast body of work explores what happened to the First Nation people and the way Canada has treated them throughout the years. Houle uses his experiences to teach others their heritage through Canadian indigenous artwork. This film is about not forgetting, but rather contributing to the collective memory of a nation. It is a celebration. Robert's Paintings premiered at imagineNATIVE Film + Media Arts Festival. 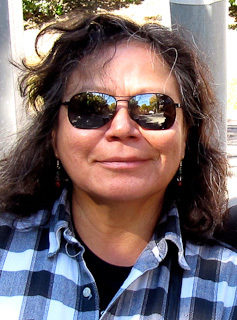 Shelley Niro is a Mohawk member of the Six Nations Reserve. She belongs to the Turtle Clan. 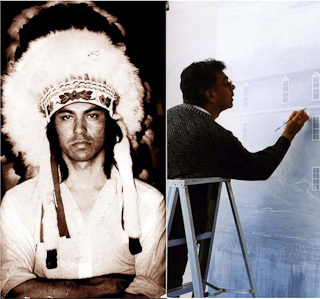 Niro is a visual artist whose work has shown at the National Gallery of Canada, Ottawa, the National Museum of the American Indian, New York and Washington, DC, and has recently exhibited at the Institute of American Indian Art Museum in Santa Fe, New Mexico.